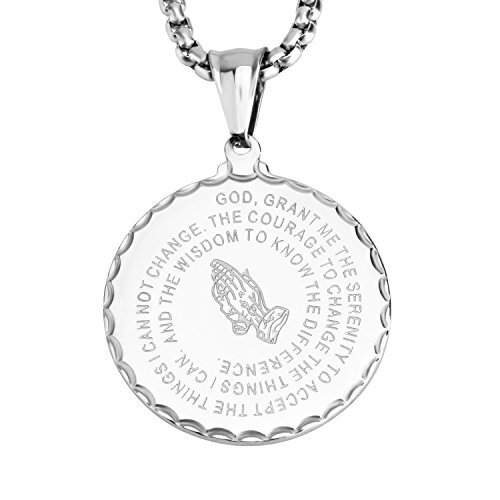 Coin charm necklace, with prayer words and praying hands. Christian symbols. Pray for lucky,goodness. Thanksful to God. Material: stainless steel. (based material). Inscription: 316L/U7 Net weight: 24 grams. Customer notification: this is a fashion jewelry. Please try to keep it from water or sweat for a longer use. Package content: 1 pendant, 1 chain, U7 design gift box. 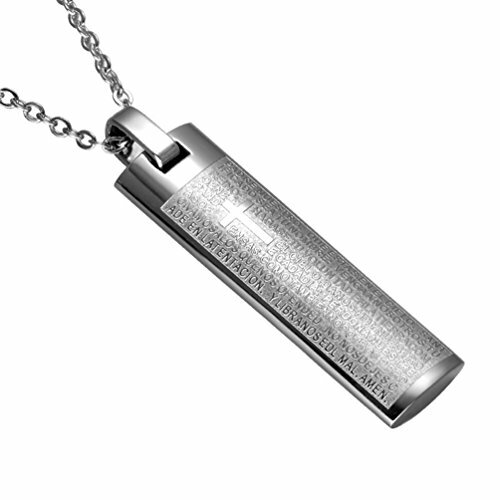 Product Details: Material: 316L stainless steel Size: 1.2" x 1.2" (pendant),Chain: 20" + 2 inches chain extender. 3MM Wide twisted wheat chain. Weight: 25g Features: 1.Stainless steel instead of disappointing materials, not fade, anti-stress. 2.Would be a perfect gift for someone who need. 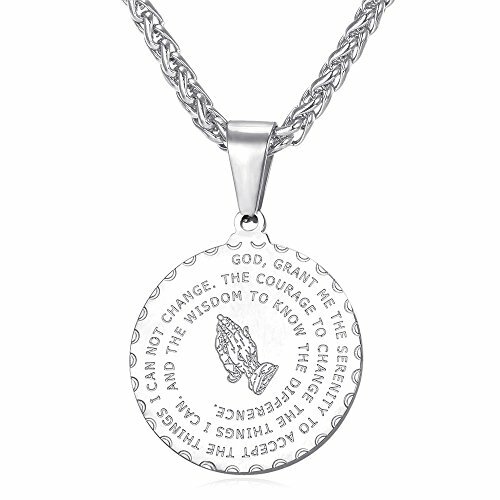 3,20" + 2 inches chain extender will fit man or women,Lords Prayer scripture on the coree pendant . Package Included: 1 x Abooxiu Simple Stainless Steel coin Pendant 1 x 22 Inches High Quality Durable Stainless Steel Link Chain 1 x Including a beautiful gift bag. Note: 1, made by stainless steel ,color won't change. 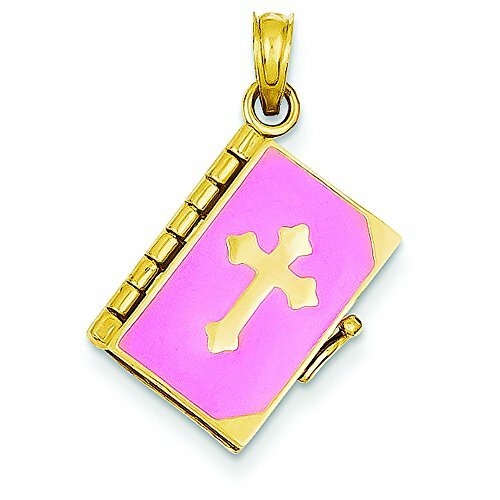 2,Perfect Gift for Any One with Affection for the Lord and His Prayer.3,Please keep it away from water4,Please put it in a dry jewelry box when you take it off5,Please avoid corrosive liquids Service: 1.Products we sell are all in new condition and finished rigid inspection. 2.If you have any questions, plz contact us, we will do our best to serve you. 3.If you received the goods and are not satisfied with our products, we promise 90-days guarantee. 90 DAY MONEY BACK GUARANTEE-100% satisfaction guaranteed. That is our promise. So, if you're not completely happy with your purchase within the first 90 days, just let us know. We will do whatever it takes to make it right About Feedback: Your satisfaction and positive feedback is very important to us. Please leave positive feedback and 5 stars if you are satisfied with our items and services. If you have any problems with our items or services, please feel free to contact us first before you leave negative feedback. We will do our best to solve any problems and provide you with the best customer services. 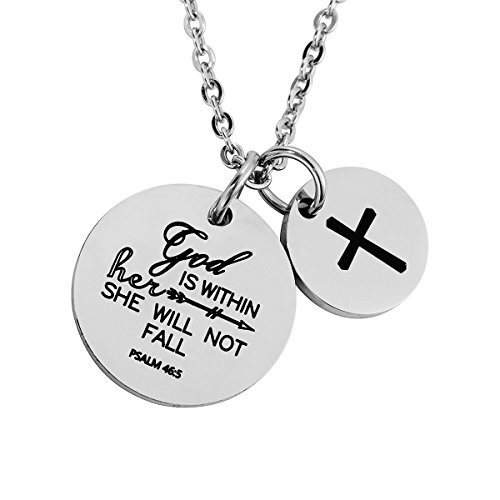 omodofo New Series Faith Necklace Religious Jewelry for Women ♥Both side mirror Polished Stainless Steel Charm Pendant and Chain .♥ The charm pendant stamped different Bible Verse for you choose: Matthew 19:26: " With God All Things Are Possible" Psalm 46:10 : " Be Still and Know That I am God " Psalm 46:5: " God Is Within Her, She Will Not Fall "♥ Measurements:1. 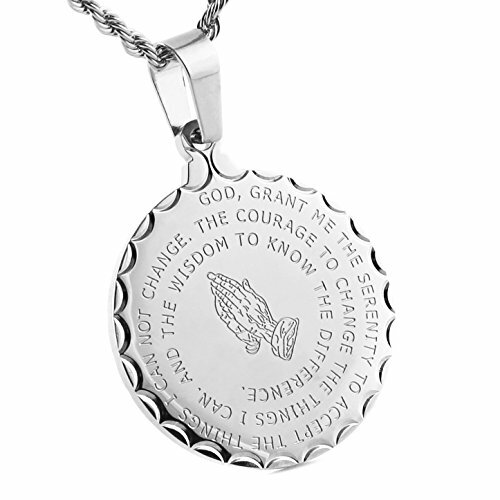 Engraved Bible Verse Round Pendant : Diameter --0.86 '' , Thickness -- 0.08''2. 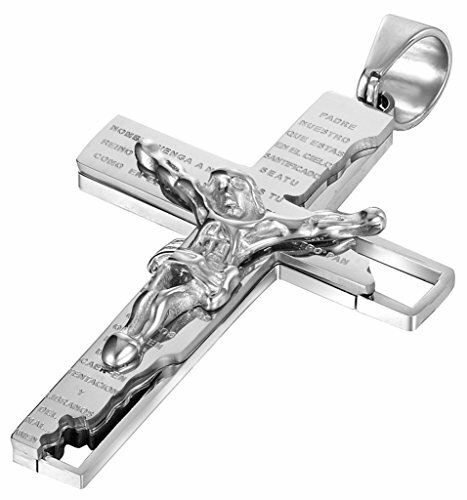 Engraved Cross Round Pendant : Diameter -- 0.6'' , Thickness -- 0.08''3. Stainless steel chain is 18" long and has a 2" extender for a total of 20".Special gifts for yourself or friends , the person which you loved.Thank you so much for visiting omodofo shop! Please check out my other listings. omodofo brand welcome your any question ! Please contact us . We will be happy to work with you! 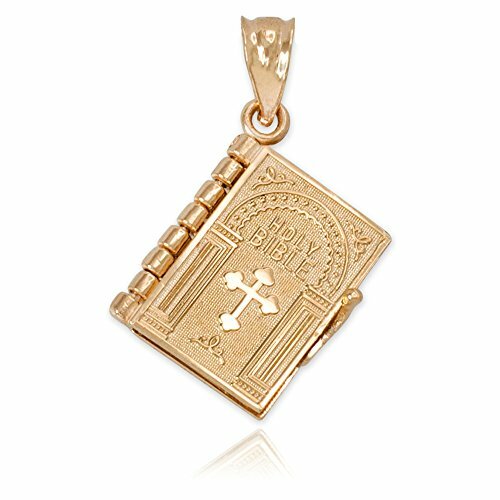 Brand name: PAURO Design: Lord's Prayer Pendant Necklace Condition: 100% Brand new Quantity: 1PC. Metal: Stainless Steel Gender: Mens Packaging: with a free beautiful jewelry bag More Details: as the pictures show PAURO Jewelry is a company which combines sales and trade together. We mainly engaged in all kinds of stainless steel jewelry, titanium steel jewelry. Including rings, earrings, necklaces, pendants, bracelets and so on. Stainless Steel Stainless Steel has increasingly grown as a popular metal choice for jewelry. Although it has a similar appearance to metal, Stainless Steel is much thicker and will not tarnish. Often made without nickel, this metal type is popular among those who may have metal allergies. Containing a more matte finish compared to silver and gold metals with stronger luster, Stainless Steel is a popular jewelry choice among men's jewelry. Caring For Your Stainless Steel Jewelry Stainless Steel jewelry is very easy to care for with its tough material that is able to endure a lot of wear and tear. This metal type is able to withstand moisture without tarnish or corrosion. Compare prices on Prayer Bible Charm at ShopPlanetUp.com – use promo codes and coupons for best offers and deals. We work hard to get you amazing deals and collect all available offers online and represent it in one place for the customers. Now our visitors can leverage benefits of big brands and heavy discounts available for that day and for famous brands.